The Race begins with a search. A search for thirty-six Supermarine Spitfire airplanes rumored to have been buried in Burma at the end of World War II. 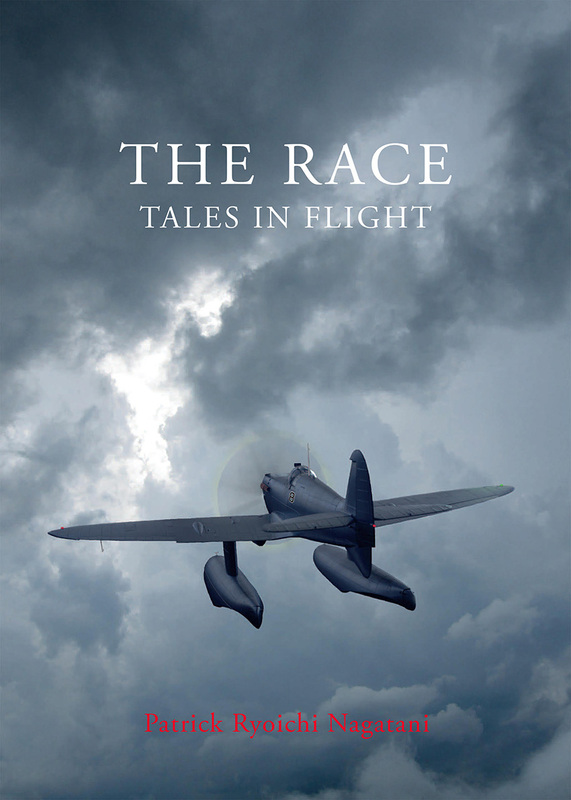 The subsequent discovery and unearthing of those planes sets the stage for Patrick Nagatani’s novel, The Race: Tales In Flight. The story’s protagonist is Keiko Kobahashi, CEO of Mitsubishi Corporation, who devises and executes a grand plan. Fifteen of the exhumed planes are acquired and transported to Tokyo, where they are redesigned and reborn as state-of-the-art floatplanes, intended for a trans-Pacific (Tokyo to San Francisco) air race. Fifteen pilots are carefully selected, individuals of all ages and from all walks of life – a disrobed Tibetan Buddhist nun, a housewife, former and current military pilots, and an aspiring astronaut, to name a few. They are all women. In the solitude of the cockpit, however, we find only the individual characters and their thoughts. They have a set flight plan, with three refueling stops breaking up the more than 5,000 nautical mile journey. As each woman’s journey progresses, her story unfolds, and each chapter is a glimpse into another’s world. We are privy to history, memories, hopes, and dreams. Cultural, religious, and ideological identities are examined and even questioned, as the characters consider their own lives and those of their fellow pilots. The various challenges they have faced in their lives – regret, betrayal, abandonment, sickness, and death – surface. For some, there are daydreams and hallucinations. For all, there is a reckoning, and catharsis. In addition to the refueling stops, there are two “landmarks” of sorts along the path. The first is the Great Pacific garbage patch. An ecological disaster of mammoth proportions, it’s a potent symbol for the current state of our planet. As I read the book, I began to see this as a classic hero’s test or a trial, one she must pass before moving on to the next level or phase of existence. It was interesting to see how the characters responded to this trial – which ones chose reduce altitude to get a look at the monster in the Pacific, risking an increase in flight time, and which ones stayed their course. And like many trials, at least those in real life, upon completion there were no showers of reward or lightning strikes of transformation, just a moment of increased awareness. The second landmark occurs at the end of the journey, when all pilots are instructed, on approaching San Francisco, to “descend to 7,890 feet and go through the uppermost cloud, which is known as Cloud Nine.” I loved the idea of each pilot passing through a physical “Cloud Nine” while also experiencing that state of euphoric exaltation, as we more commonly know it. The Race is a tale of epic adventure. Flight represents freedom, and tales of flight are often filled with romance and allure. In focusing on each pilot’s journey, this book reminds me of the many great books written by flyers about flying. Some of these are even referenced in the chapter of the character Ayame Kobahashi – Champagne 2, as inspiration; West with the Night by Beryl Markham, a memoir of her time as a bush pilot in Kenya, and Wind, Sand and Stars by Antoine de Saint-Exupéry, chronicling his years flying mail routes across the Sahara and in South America. These books are transformative; for anyone who has longed to escape the here and now for a far-away place, they are incredibly potent – a glimpse into the unknown. 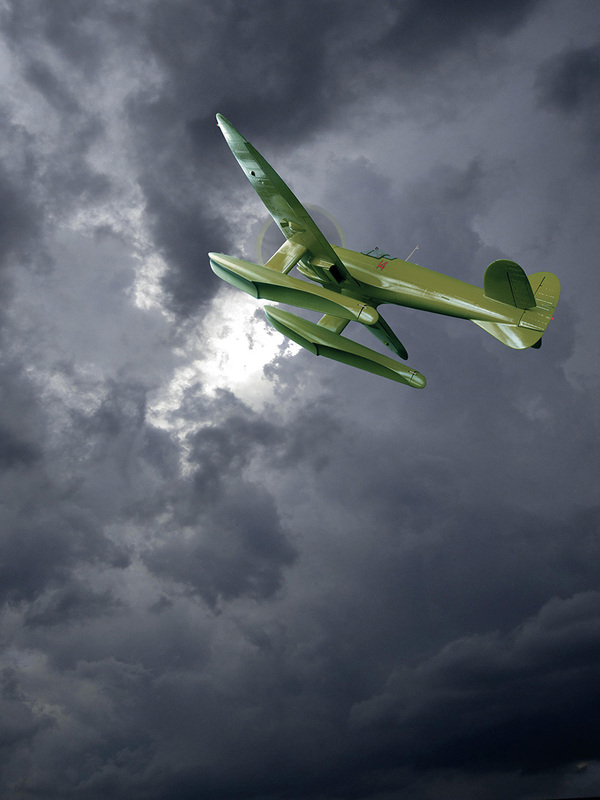 The flights – long, arduous, solitary passages – are vehicles for escape, adventure, and self-discovery. I’m reminded as well of two other books in my personal pantheon of favorites, Blue Highways by William Least Heat-Moon, and The Long Way, by Bernard Moitessier, which follow the voyage/memoir model of Markham and Saint-Exupéry, but by land and by sea, respectively. I see a particular connection to The Long Way, a memoir of Moitessier’s participation in the first solo around-the-world sailboat race. Alone for weeks on his sailboat, he reflects upon and revises his philosophy on life, questions our place in the world, and our attendant responsibilities. In the home stretch of his race, just before rounding Cape Horn to sail north to Great Britain and the finish line, Moitessier decides to turn around, to abandon the race, and return to Tahiti. He no longer cares about winning, for him, the race has served its purpose. The final character in The Race, Arianne Maya Parker, flying Ochre 15, makes a similar choice. Instead of completing the race in San Francisco and joining her cohort, she continues north, returning to her home and her family. The idea of creativity is another important point. For those familiar with Nagatani’s legacy, the book is like an illustrated field guide to the creative process, a map for artistic renewal and development. Knowledge of his past projects fosters flashes of recognition as small details from his many areas of interest emerge. For many artists, the reading of a work of art becomes fuller and richer with some knowledge of the working process, be it conceptual or technical. And it’s taken for granted that our lives and our experiences are driving forces in the work we make. There’s a certain suspension of disbelief when you read a novel. You take everything as fact, in a way. For those of us with some knowledge of Nagatani’s life and work, the elements and characters we recognize become little treasures to find in the narrative and interrupt this disbelief – but in a good way, pulling the curtain back from what we imagine his creative process to be. The question of what is real or not real becomes irrelevant. Fittingly, his alter ego from an earlier project, Ryoichi, the Japanese archaeologist, is one of the few central male characters. The Ryoichi project, which Nagatani worked on from 1985–2001, involves archaeological excavations unearthing, among other things, luxury automobiles buried at ancient sites. The coincidence of the buried Spitfires at the center of this project is a delightfully fantastic one. Other “real” things are there – the characters of Dr. Kazuhiko Watase, the acupuncturist, and Annie, the faithful dog, the practice of Chromotherapy, and the harrowing particulars of a cancer survivor’s condition as described in the story of Nanibah Jackson (Yellow 13), a young Navaho/Laguna woman from New Mexico. Sid the stoma even makes an appearance. The process of creating this new world must have been a challenging, but also extremely rewarding one, and it occurred to me that it’s not so different from any visual project Nagatani constructed in the past. I wanted to know more about the making of the book, and was able to speak with André Ruesch, who wrote the chapter for the character Leah Katzenberg – White 6. He is a former graduate student of Patrick’s, and the only other male to contribute to the book. His take on the use of women as the main characters is a reflection on Patrick’s view of women as being “more suited to changing the world.” What if we really could change the world? Another profound element in the plot of The Race is the resolution of Keiko’s master plan. With her great personal wealth and power, she has built a complex in Hawaii named Shinatobe, for the Japanese Goddess of the Wind. Her goal is to bring as many of the exceptional women she had chosen for the race to live and work there, if they so choose, to share their many skills and have carte blanche to develop their ideas. The desire, above all, is to empower women, to bring them back to making the decisions, and to help save the world. The Hawaii compound is the ideal model of how can we live – all part of a greater collective, if we can only be allowed the freedom and support to achieve it. André and I spoke for some time about the process of collaborating on the book, and he speculated that in the beginning stages of the project, Patrick may have started writing and realized the work needed the authenticity of other voices – and in his generous spirit, he “offered up a stage or platform for others to interact with him upon it.” When I asked him about how they were introduced to the project, he told me that each contributor was sent the prologue, and asked to choose their character’s name, nationality, the color and number of the plane, and so forth. There were very few instructions per se – it was stated that every character experiences catharsis, but the what, how, and why was left up to the individual writers. Having known Patrick as a teacher, he was familiar with his effectiveness as a planner, and his gentle method of direction. When I commented on the coherence in writing style – the book does not read like it has multiple authors – he said that instead of manipulating the writers into a certain frame of mind, Patrick created a setting, in which “the genius was in the specificity of instruction on one hand and the subsequent lack thereof." This worked particularly well in the multigenerational arc of the stories. Ideas get worked out over generations – we are not just the sum of our experiences, but also those of our parents and their parents. Patrick set the stage by beginning the story at WWII and ending it in the present. In working with this decades long timeline the writers were forced to grapple with their own personal histories and to consider the totality of multiple generations. André made another observation that I thought was particularly poignant – he said that writing the book reinforced, for him, the appeal of fiction – you have the freedom to imagine another version of you – in another body and gender, but also in another reality, one in which perhaps you have the opportunity to change things. This made me think of another observation I had when first reading the book - it is a meditation on mortality. I couldn’t help but think of the stories as an analogy for examining one’s life in a more profound manner, as we do when we face the death of a loved one, or our own impending death. Crossing the ocean, navigating its challenges, and finally descending through Cloud Nine is a pretty effective metaphor for passing between planes of existence. Could the compound in Hawaii also represent a metaphysical realm, one in which you have the opportunity to be the best person you can be, free of restraints, without the necessity to sacrifice your previous life? Patrick Ryoichi Nagatani died on October 27, 2017, at the age of 72. He lived to see his last project completed, and to host a book signing at the Albuquerque Museum the week before his death. For the many people who came out that night to celebrate him, he graciously and cheerfully signed book after book. In his typical kind and generous manner, he personalized every one. In his life, he was beloved and admired by so many, but his legacy of creativity and generosity lives on in the work he leaves behind, and in the memories of those who knew him. He will be missed.